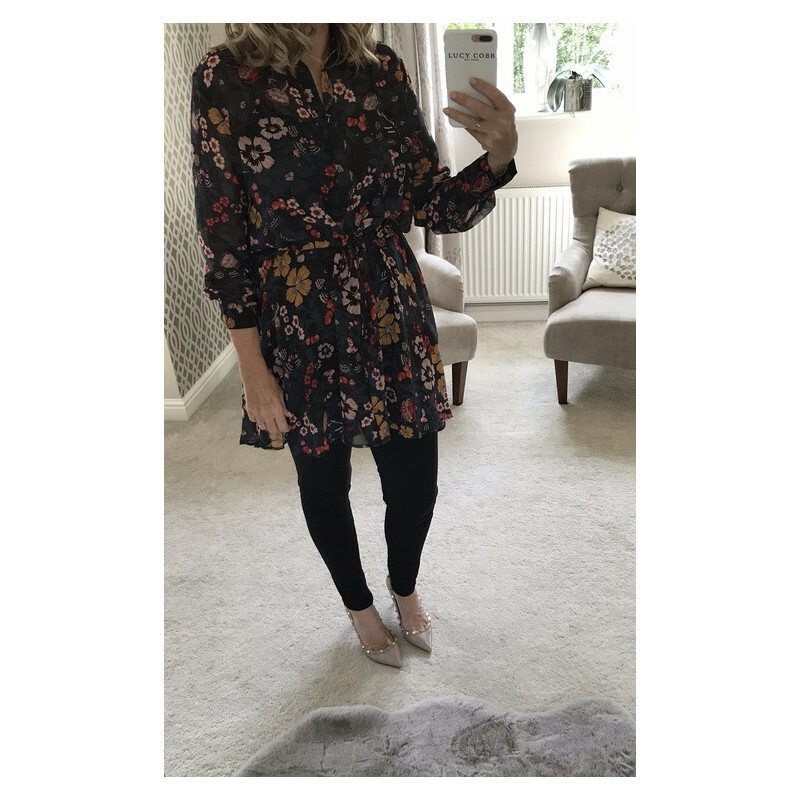 Floreance Tunic from B Young is a floral long sleeve tunic. It has a collar, a button down front and a tie waist. There is added detail from a peplum hem. Perfect with jeans for a dressy look.